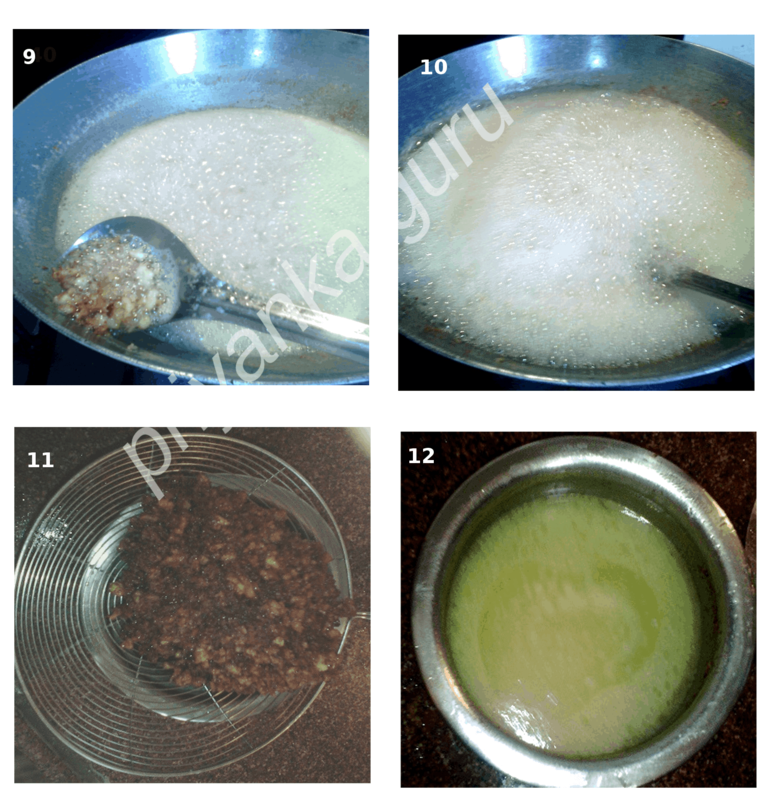 In several of my earlier post, I’ve suggested to use home made ghee in babies food, so this time, I thought to share with you all, the procedure of making ghee at home. 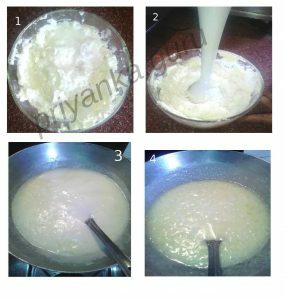 I always used home made ghee in Nirvi’s food specially in khichadi. It contain lots of healthy nutrients like both Omega 3 and Omega 9 fatty acids including minerals, vitamins A, E, D and K, conjugated linoleic acid and lots of phenolic anti-oxidants. It is good for heart. It lowers the bad blood cholesterol level and enhances the good blood cholesterol level thus helps the heart functioning well without overload. It relieves constipation when taken one spoon in a warm milk before bed time. Instead of adding any flavored energy in your kid’s milk. 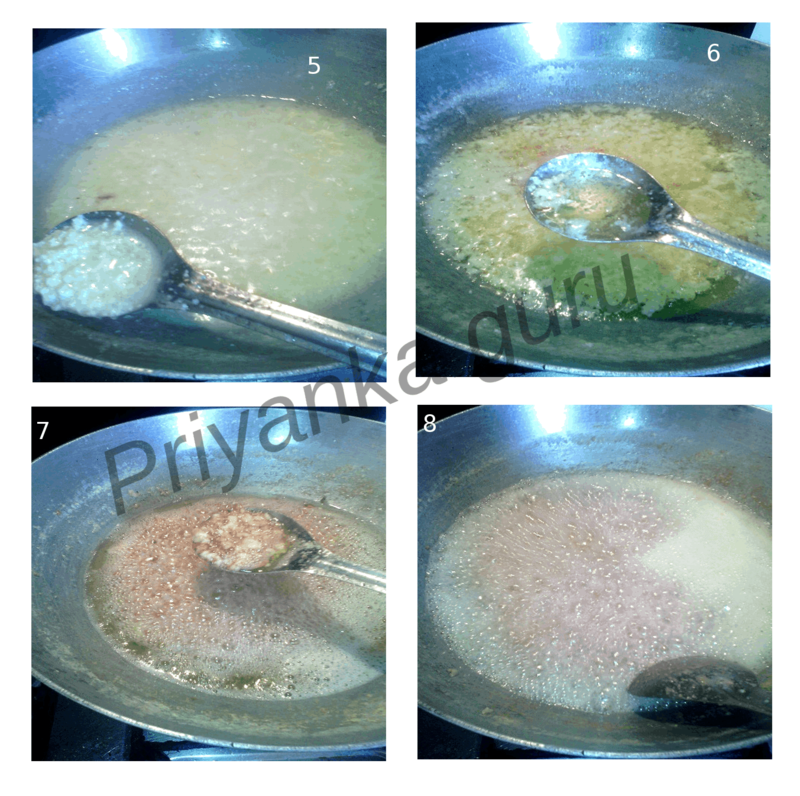 Mix one spoon of home made ghee. 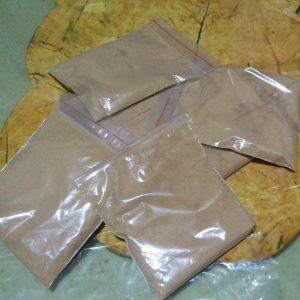 It enhances their eye sight, immunity level, memory power, strong muscle and bones. It promotes the learning and increase memory power in kids. Consuming ghee during pregnancy prevents the infant from birth defects like spinal and bone disorders and malnutrition. In the 9th month of my pregnancy, My mother in law prepared hot hot halwa for me in home made ghee, and said “have it beta it will help in normal delivery and will give strength to you”. 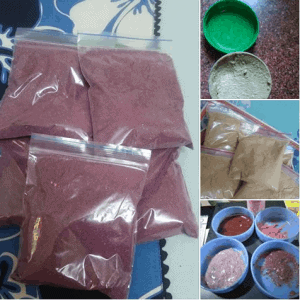 Really friends for normal delivery lots of strength is required and I got it through ghee. Having milk with one spoon of pure ghee is good in the last month of pregnancy. It provides strength and ease normal delivery. If anyone have snoring problem, just put a single drop in your nose and take a deep breath before sleep. It will solve the problem of snoring. In migraine also home made ghee show its magic. Just take a drop through your nose, apply it in the navel and add some drops in warm milk. 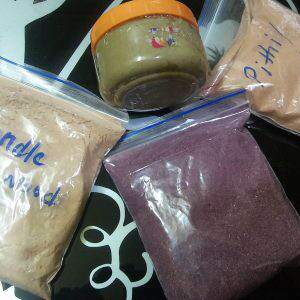 Good for baby body massage also. I massaged my baby with home made ghee for the starting 2 months. 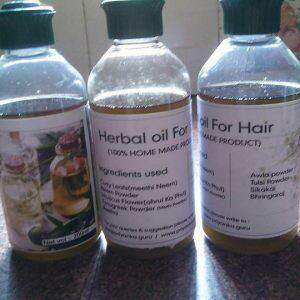 Massaging with ghee, cures the problem of dandruff. Actually there are many more benefits, if I don’t control myself here, the list can become endless. Now I come to the point and write the procedure. One big bowl of butter. I will tell you how to get butter. After boiling the milk let it cools down. Put the milk in the refrigerator. After 3 to 4 hours take it out. A thick layer of malai/cream will appear at the upper surface of milk. Take out that with the help of a big spoon. Do this regularly until one big bowl is full with that and put that bowl in the refrigerator daily after storing the malai. After a week or two, add half spoon of curd to the malai. It will help keeping it fresh for a longer period of time. If enough malai is not stored in 15 to 20 days, just place the malai bowl in the freezer just to maintain its quality. Take the malai out from the freezer one day before you want to make ghee. Beat it using beater for 1 minute. Take a thick pan or kadhai, put it in high flame. Add all the malai to the pan and mix it well. 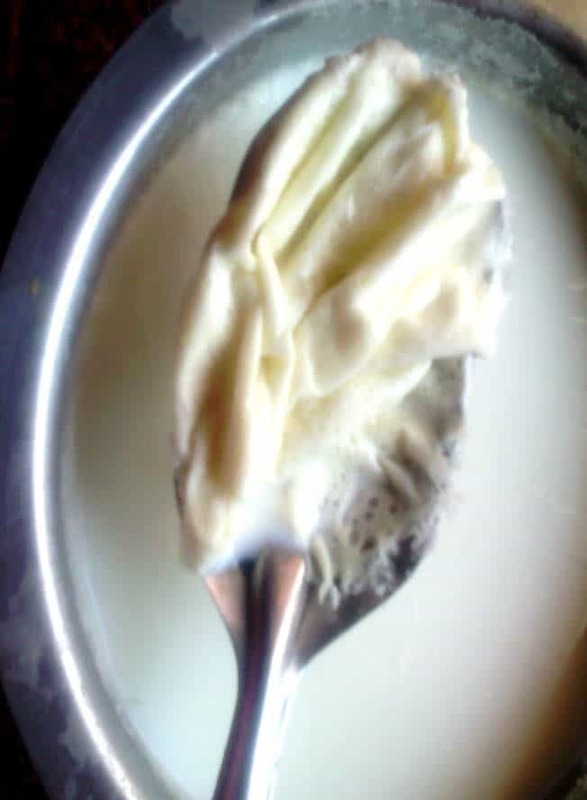 Now stir the butter in interval of half to one minute. You will see the changes as shown in the pictures. I prepare it while preparing chapati so that, two of my work go simultaneously ghee doesn’t require much attention. When malai starts becoming brown and bubbles starts to form. This time you need to lower the flame other wise it will come out. Switch off the flame when the color seems light brown. Leave it for a few hours for cooling. Now strain the ghee with the help of kitchen net. Wait wait, don’t throw the leftover. Some ghee is still left in it. Dip the brown left over(khoi) in one glass of water. Massage the khoi properly with the help of spoon or hand. Now separate the water and the khoi with the help of kitchen net. Now put the water in the freezer. On the other day, when you take out the water a thick layer of ghee can be seen in the upper surface. 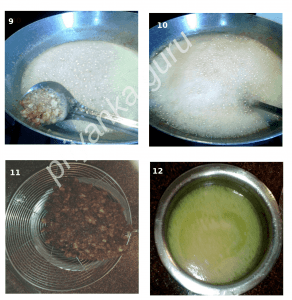 Separate the ghee from water this ghee can be used in fulka or can be added in khichadi or milk. You can put ghee in this smart glass jar for regular use. The left over water can be used to make dough by adding some azwain and salt to the dough. So all the things are used properly with no wastage. 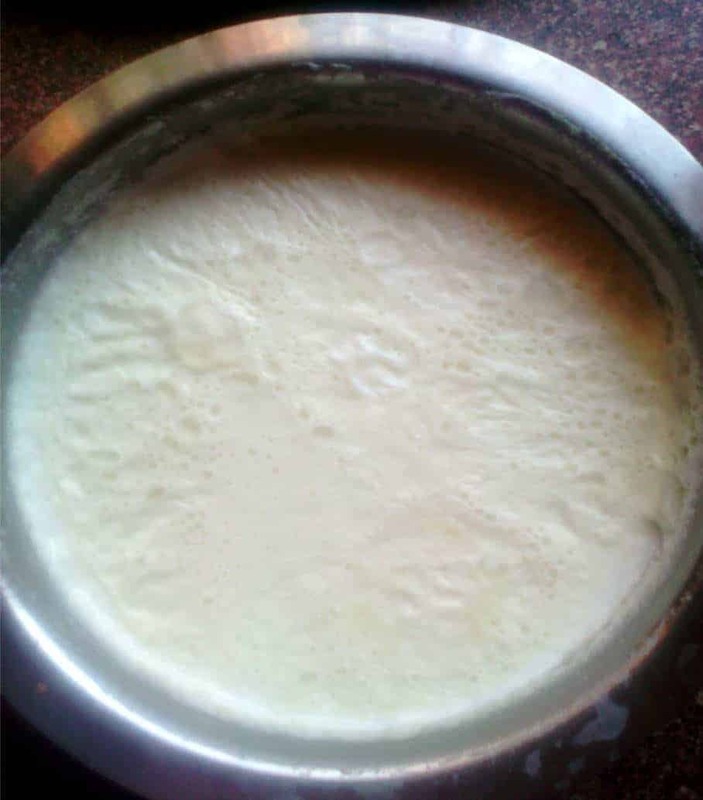 For preparing ghee, i always prefer cow milk. 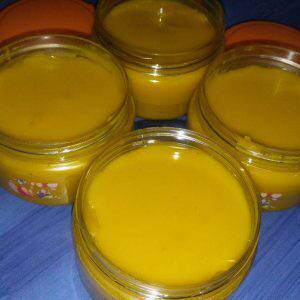 The ghee can be stored at room temperature in a tightly covered jar for up to six months. At room temperature, ghee is mainly solid(in winters) and opaque. Hopefully , you understand the procedure. If you face any difficulty or doubt in preparing the ghee. Feel free to ask me in comments. But please try preparing it once, its not that tough as we girls think. You can subscribe my blog for different recipes for kids and family and like my face-book page for all updates.Share this recipe with your friends and family members, remember sharing good things always help others too.